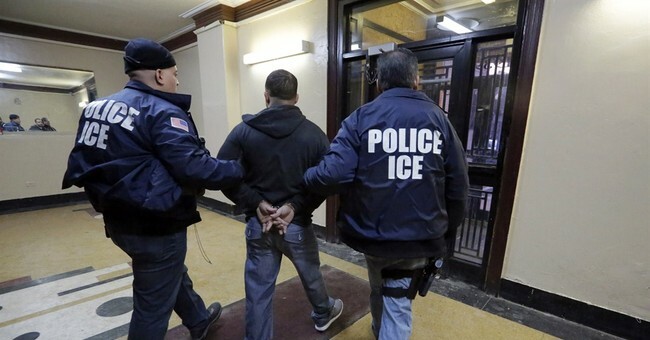 Immigration and Customs Enforcement Acting Director Thomas Homan said he’s been given the green light to hire 10,000 additional agents to help crack down on illegal immigrants in sanctuary cities. "In the America I grew up in, cities didn't shield people who violated the law," Homan told the Washington Examiner. Homan said the agency is finally able to do its job under the Trump administration. "What this president has done is taken the handcuffs off of law enforcement officers who are charged with enforcing immigration laws," he said. "You can like President Trump, not like him, like his policies, not like his policies, but one thing no one can argue with is the effect they've had." “What I want to get is a clear understanding from everybody, from the congressmen to the politicians to law enforcement to those who enter the country illegally, that ICE is open for business."